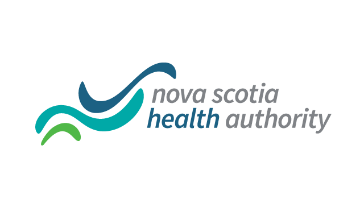 Dartmouth General Hospital in Dartmouth, Nova Scotia is seeking a full-time Intensivist to begin in July 2019. The Intensivist will work within a group of eight physicians providing ICU coverage. Dartmouth General Hospital is an acute-care community hospital within the Halifax Regional Municipality. The hospital is in the process of expanding to 170 beds and will include a newly renovated 8 bed medical/surgical/cardiac Intensive Care Unit. Applicants are expected to have FRCPC (or equivalent) designation in Critical Care. Consideration will be given to a variety of base specialties, and negotiations with candidates will include plans for resources and provision of services in the base specialty. Remuneration for ICU is via an alternate payment plan. Academic rank at Dalhousie University will be dependent on qualifications and experience and requires a willingness and ability to teach medical students and residents. All qualified candidates are encouraged to apply, however Canadians and permanent residents will be given priority. The Department of Critical Care is committed to promoting a collegial culture encompassing diversity and inclusiveness. We encourage applications from qualified First Nations Peoples, persons with a disability, racially visible persons, and women. Dartmouth is a vibrant community which is a 15-minute drive from downtown Halifax. The up- and-coming downtown core offers many dining, cultural, and shopping opportunities. Dartmouth is known as “the City of Lakes”, as there are numerous public and residential waterways to take advantage of within the community. or by email to Tanya.Ferguson@nshealth.ca by February 28, 2019. Inquiries for further details can also be directed to this office and will be answered by local leadership.